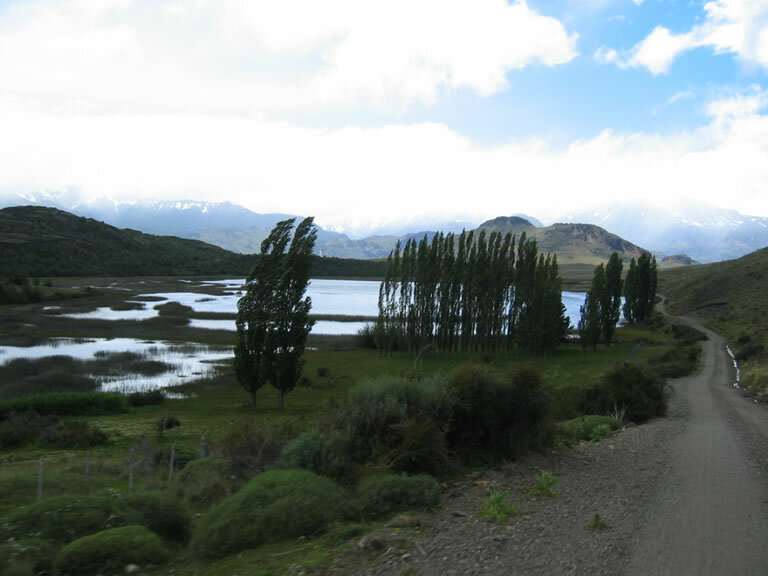 We got up early the next morning, stocked up on some breakfast and diesel and then headed out of Cochrane towards the Argentinian border at Paso Roballos, 17km north of town (and about 40km south of Puerto Bertrand). The road off the Carretera Austral (signposter Entrada Baker) is a fairly decent gravel road climbing eastward up the valley of Rio Chacabuco. The landscape was very remote and we didn't see any other vehicles. 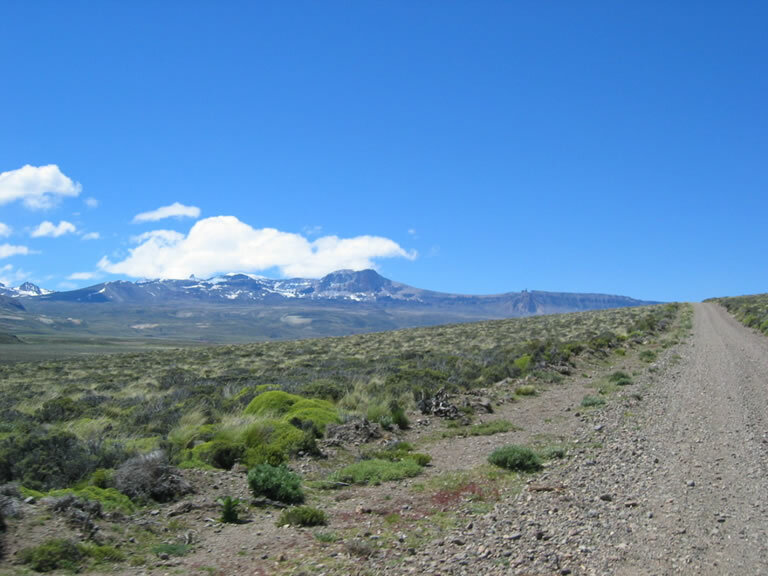 The Paso Roballos valley was incredibly windy and each time we tried to stop to cook lunch we gave up and moved on. 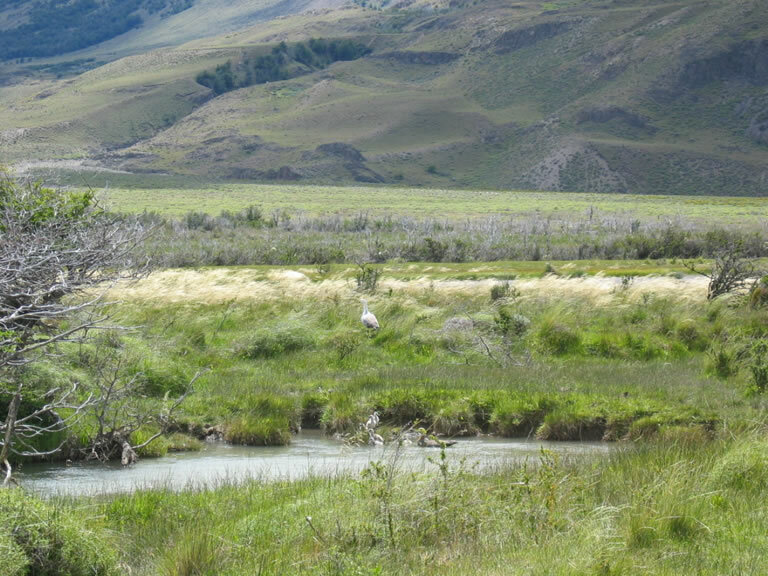 Supposedly you should see lots of animals along this route but up until we reached the Argentinian border, the only wildlife we saw were about thirty vultures circling over a dead body of some sort. Eventually we came to the Chilean office, a small chalet building, which was very friendly and efficient. We were out within ten minutes. Contrary to the information we were given by the tourist office in Coyhaique, there is a customs officer at the border who was able to stamp our Carnet. As we got further away from the coast, the weather improved and the sky was a lovely blue - although the wind didn't let up. Next stop the Argentinia Border!